We’re delighted this year to team up with the Game Anglers Instructor’ Association and Inland Fisheries Ireland to give members of the public an opportunity to try their hand at fly casting on the River Moy. Fly fishing is an angling method in which an artificial “fly” is used to catch fish. The fly is cast using a fly rod, reel, and specialised weighted line. 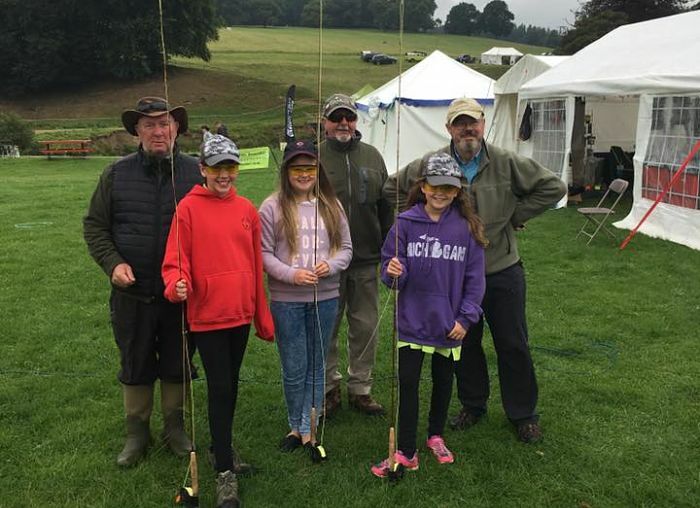 This is a great opportunity for complete novices and experienced anglers alike of all ages to avail of the expertise of our instructors and we would particularly encourage parents to bring their children along to introduce them to fly fishing. Who knows, it might inspire a new passion! No prior knowledge or experience is required. Safety will be paramount on the day, and no hooks will be used for casting – a wool tag is used instead. Safety equipment such as hats and glasses will be provided, and there will be qualified first responders and first aid equipment on hand. Qualified river rescue personnel and throw ropes will also be available. This event will take place at the beautiful Point picnic area alongside Tom Ruane Park, where the Teddy Bear’s Picnic will also be taking place. Our sincere thanks to the Game Angling Instructors’ Association and Inland Fisheries Ireland for putting on this great event and we hope to see you there.